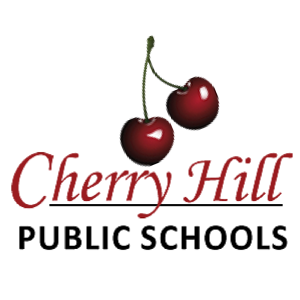 Cherry Hill Public Schools will see some new faces and some old ones in new positions starting this school year as the district has appointed Joseph Meloche as superintendent, three new principals and 90 new teachers. This year, CHPS has three new principals — Jon Cohen at Woodcrest Elementary, Jared Peltzman at Johnston Elementary and Patrice Taylor at Cooper Elementary. Cohen started his career two decades ago as student teacher at Woodcrest Elementary; he comes back to the school with 13 years as an administrator and 10 years as a principal. Peltz is a lifelong Cherry Hill resident and former teacher at Barton Elementary. He was an assistant principal at Clementon Elementary School and Roebling Elementary School before taking the job as principal for Johnson Elementary. Taylor brings 20 years of experience as an educator to the principal position at Cooper Elementary School. Also new this year are 90 new teachers and two new classes — computer programing and sustainable design, both electives at Cherry Hill High School West. CHPS’ new superintendent Meloche started right along with the students on Sept. 1. The Board of Education appointed Meloche to his new position at its Aug. 25 action meeting. The district is held a “Meet & Greet” open house on Tuesday, Sept. 2 from 6 p.m. to 8 p.m. at the Malberg Administration Building, where the public was invited to meet him. Over the summer, Bret Harte Elementary School got a new roof. Also, many of the district’s buildings received paint. Volunteers painted some interiors to spruce things up before the opening of school. Those volunteers were from all over — the PTA, principals and assistant principals, and middle and high school students. The PARCC test will once again be administered to students, however instead of two testing windows like last year, this year there is only one. Because there is no longer a second sitting, the one testing window is longer to compensate for the second sitting. The procedures, however, will be the same. The elementary and middle school testing is planned from April 4 to May 13. The high school testing is planned from April 11 to April 22. Students, parents and caregivers are recommended to sign up for the Free ParentLink App. The app was launched in February 2014 and features a multitude of helpful information. There are calendars for each school in the district, emergency notifications, school closure notices, lunch menus, board of education meeting information, directories, sports information, school news and links to the school district’s social media accounts. The app is still available for free download. People can find the link by clicking the “Important School Opening Information” button on the homepage of the CHPS web site, www.chclc.org. Another way to get useful information is to subscribe to the CHPS electronic newsletter “CHPS Weekly.” Parents and community members can subscribe to the newsletter on the district website, www.cherryhill.k12.nj.us. A box at the bottom of the homepage allows users to subscribe. The first day of school for students across the district was Sept. 1 with a half-day for elementary schools and a full day for the others. Students continue with full days on Sept. 2 and 3. On Friday, Sept. 4 and Monday, Sept. 7 schools will be closed, and the regular school year will begin. The schools will have off the usual holidays, and spring break will be March 21 through March 25. The last day for students is planned to be on June 16.